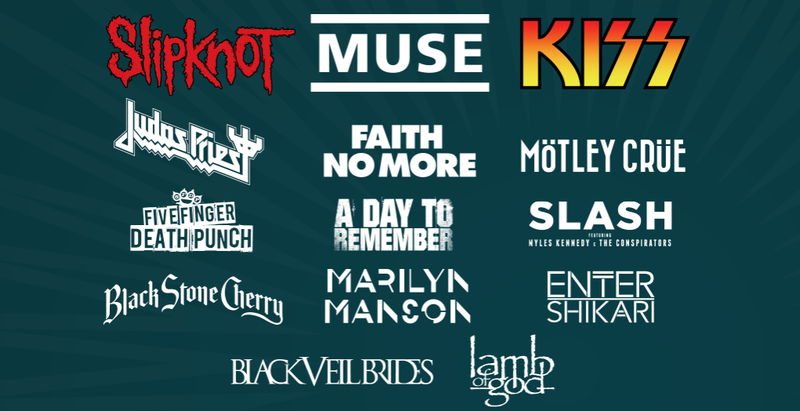 A host of new acts have been confirmed for this year’s Download festival. The total number of new confirmed bands is 23, with new additions including Andrew WK, L7, In Flames, We Are Harlot and Testament. They’ll be joining the likes of headliners Slipknot, Muse and Kiss plus Judas Priest, Faith No More, Mötley Crüe, Ace Frehley, Tremonti, Black Star Riders, Thunder and King 810. L7 will play their first live show in 15 years following news earlier this week that they have reformed with the help of their fans. The latest list of acts confirmed for Download is: Andrew WK, In Flames, Testament, We Are Harlot, L7, Hellyeah, All That Remains, Fearless Vampire Killers, Ace Frehley, Tremonti, Black Star Riders, Thunder, The Ghost Inside, King 810, Defeater, Chelsea Grin, Evil Scarecrow, Bombus, Gnarwolves, Hands Like Houses, Stray From The Path, Creeper and Blood Youth.